As part of efforts to improve non-oil revenue amid a global outlook of low oil prices, Nigeria's Acting President, Yemi Osinbajo, recently signed an Executive Order (EO) on the Voluntary Asset and Income Declaration Scheme (VAIDS). The main objective of the scheme – which commenced on July 1, 2017 and will last for a period of nine months – is to help expand the country's tax base. Other objectives of the scheme, as announced by the Minister of Finance, Kemi Adeosun, include increasing tax-to-GDP ratio from 6% to 18% by 2020, and improving compliance with existing tax laws. VAIDS is also expected to curb the use of tax havens, discourage tax evasion, and tackle illicit financial flows. With the introduction of VAIDS, the government hopes to encourage voluntary disclosure of previously undisclosed assets and income and the payment of outstanding tax liabilities. In one of its reports on Voluntary Disclosure Programmes, the Organization for Economic Co-operation and Development (OECD) describes VDPs as “opportunities offered by tax administrations to allow previously non-compliant taxpayers to correct their tax affairs under specified terms. 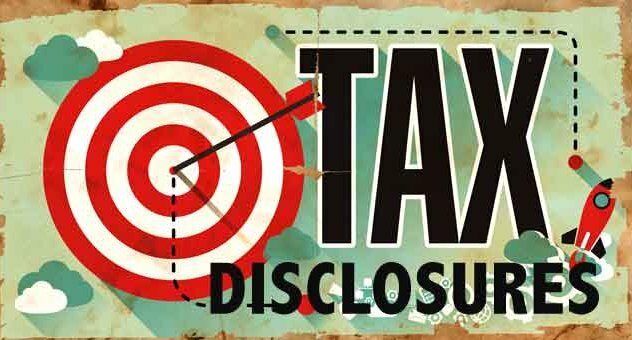 When drafted carefully, voluntary disclosure programmes benefit everyone involved – taxpayers making the disclosure, compliant taxpayers, and governments.” The Nigerian VAIDS is being implemented by the Federal Inland Revenue Service (FIRS) in collaboration with all 36 State Internal Revenue Services (IRS) and the FCT IRS. While signing the EO on the scheme, Osinbajo said it had become imperative for the government to do something about the low level of tax compliance, adding that, “When people pay taxes, they pay more attention to what government is doing. There's a greater level of political and social consciousness. Taxes are not only about boosting government revenues. When people pay taxes, they hold the government to account more.” He is right. In developed countries, citizens pay their fair share of taxes and they have a say in the way their representatives in government manage government funds. Considering Nigeria's low tax-to-GDP ratio, and the fact that out of a taxable class of about 69 million people, only 14 million are currently in the tax net, the implementation of VAIDS could go a long way in increasing non-oil revenue. Despite having a non-oil sector that accounts for up to 93% of Nigeria's GDP, government's non-oil revenue in 2016 was N2.99 trillion (or 2.9% of GDP). Suffice to say, though, that there was a decline in non-oil collection from the N3.08 trillion recorded in 2015. Nevertheless, this does not alter the main gist, which is the dismal performance of the non-oil sector in terms of generating revenue for the government. Voluntary disclosures regarding tax matters are not new in tax administration. Indeed, VDPs are widely used in developed countries, helping to enhance the effectiveness of their tax administration. Voluntary disclosure programmes can generally be grouped into two categories, namely permanent or temporary programmes. The Nigerian VAIDS is considered a temporary programme. The Canadian Voluntary Disclosures Program is a permanent programme. It gives individuals and companies a second chance to change a tax return that was previously filed or to file a return that should have been filed. To be eligible, it must be voluntary. 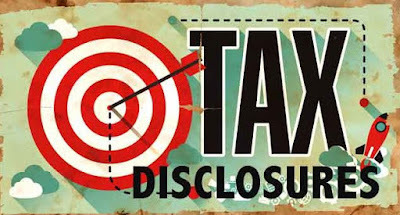 Should an individual or company be contacted by the Canada Revenue Agency before making the disclosure, it won't be considered voluntary. South Africa also operates a permanent VDP as part of its tax administration. However, a temporary VDP was introduced last year. Called the Special Voluntary Disclosure Programme (SVDP), it is similar to Nigeria's VAIDS. The SVDP window period is between October 1, 2016 and August 31, 2017. It is meant for individuals and companies who have not, in the past, disclosed tax and exchange control defaults in relation to offshore assets. In developed countries, there are benefits associated with voluntary disclosure, including reduced penalties and an allowance to negotiate for protection against criminal prosecution – in serious cases of default. In the case of VAIDS, some benefits to individuals and companies were also listed during the rollout, such as: immunity from prosecution for tax offences; immunity from tax audit; waiver of interest; and waiver of penalties. However, for there to be institutionalization of voluntary disclosure in Nigeria's tax administration, there needs to be an enactment of a permanent VDP law by the National Assembly. The South African Revenue Service Voluntary Disclosure Programme (VDP), which came into effect on October 1, 2012, is administered under the Tax Administration Act, 2011. VDPs have been found to rake in significant funds for governments. Canada's VDP raked in $1.3 billion in the 2014-2015 fiscal year, out of which about $780 million came from offshore disclosures. Similarly, the United States Offshore Voluntary Disclosure Program (OVDP) has raked in about $10 billion in taxes, interest and penalties since 2009. In Nigeria's case, the VAIDS has a tax revenue target of $1 billion. For VAIDS or a future VDP law to be very successful, an efficient and effective tax administration has to be in place. The country's current tax administration is bogged down with several issues, ranging from lack of accurate data, duplicity of taxes and crude collection systems. These issues will need to be dealt with. Modern-day economists have re-stated the above four canons as: equality (everybody ought to pay the same rate or percentage of his income as tax); certainty (there should be no ambiguity about the time, manner and quantity of payment); convenience (the sum, time and manner of payment of taxes should not be burdensome to the taxpayer); and efficiency (taxes should be as simple as possible and collection costs minimised). Much of these principles are lacking in Nigeria's tax administration. The FIRS and the Ministry of Finance would need to work hard to revamp the country's tax administration. Although Executive Chairman of the FIRS, Babatunde Fowler, has expressed optimism that the agency and the government will meet their revenue target for VAIDS, the tax agency will need to do more than a temporary disclosure programme to boost tax revenue in the country. It should also look at how a permanent VDP can be embedded in the tax administration. But the much bigger task is putting in place policies to engender sustainable inclusive economic growth, increase access to funding for small businesses and revitalize the private sector. Tax revenue plays a key role in building the economy. However, the economy has to be supported to grow and diversify. And the economic diversification agenda of the government is hinged on boosting non-oil revenue, of which tax revenue is a huge part of. While VAIDS remains a temporary programme, the tax agency must also ensure punitive measures for tax defaulters are clearly stated. Otherwise, VAIDS will soon join the pool of several government programmes that were rolled out with pomp and pageantry but never achieved their objectives.